ATTENTION: MINIMUM TERM OF BOOKING FROM 3 DAYS! 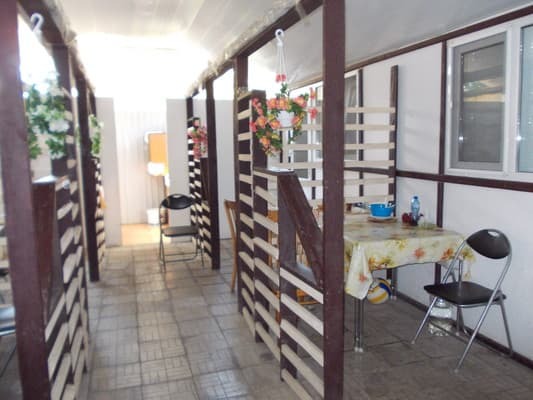 Guest house "Center" is located in Zatoka, 5-7 minutes walk from the beach. The guest house has two buildings in a large closed area. 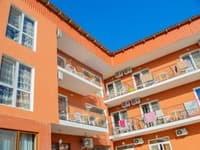 The three-story building is represented by 3-4-bed rooms without conveniences, with a shared bathroom. 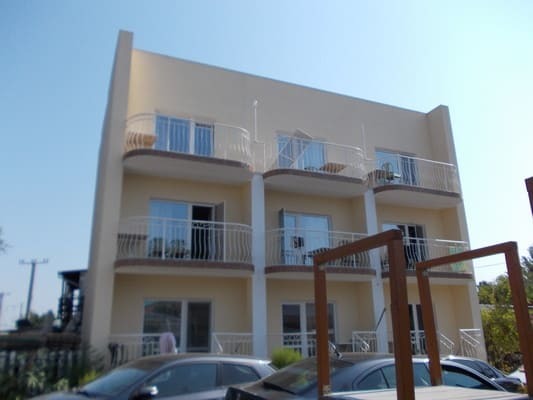 The two-story building has various 3-4-bed rooms without conveniences and amenities in the room. In addition, in the same building on the 2nd floor there are mansard 2-3-4 bed rooms. 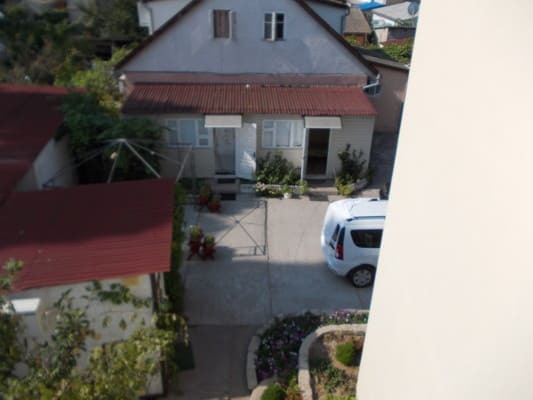 Guest house "Center" offers accommodation in the same houses: one 4-bed, one 3-bed. On the territory of the guest house, guests have access to 2 common kitchens, equipped for self-cooking. Residents can use the brazier. There is paid parking on site and free Wi-Fi. The distance to Odessa is 60 km. 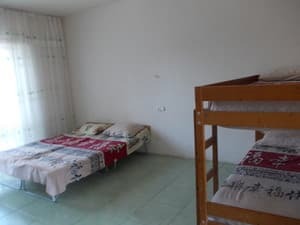 Description of the room: The room is equipped with a double and a single bed, has a shared bathroom. 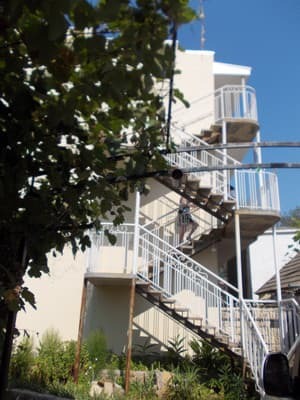 The guesthouse also offers accommodation in a 4-bed room of this category. Description of the room: Mansard room with a shared bathroom. There is one double and two single beds in the room. There is a possibility of 2, 3, 4-bed accommodation. Description of the room: Spacious room with shared bathroom. Has an exit to the balcony. Equipped with a double bed and one bunk bed. 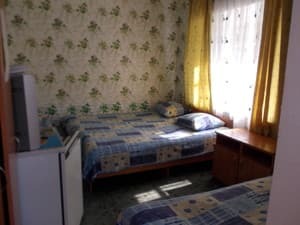 The guest house also provides 3-bed rooms of this category. 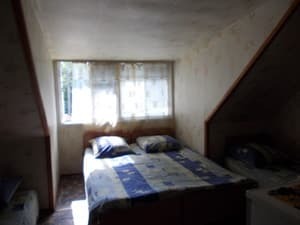 Description of the room: The room has a bathroom, one double and two single beds. 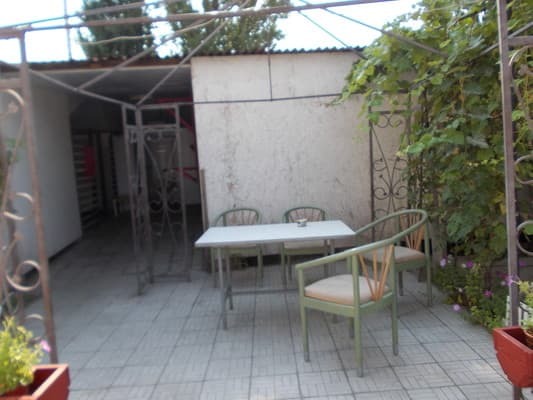 There is also the possibility of accommodation in a 3-bed room in this category. Information on additional places to specify when booking. On the territory of the guest house there are 2 kitchens for self-cooking. 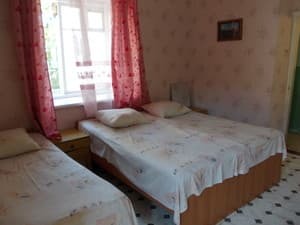 Guest house "Center" is located in Zatoka in 5-7 minutes walk to the sea. The distance to Odessa is 60 km. From Odessa by bus or train to the village. Inflow.